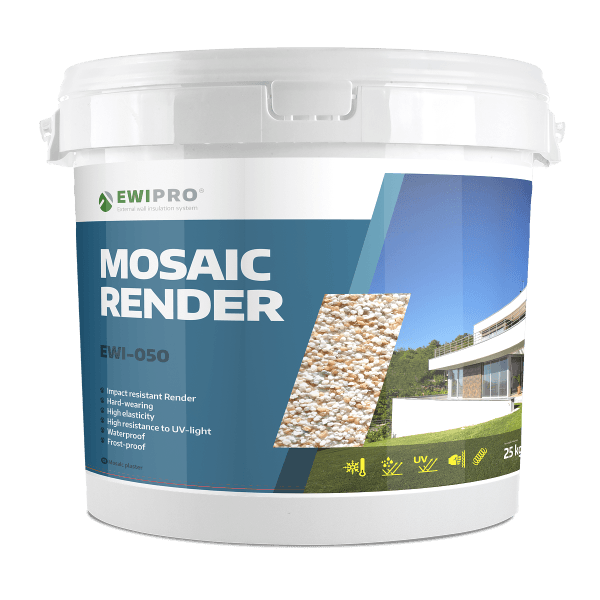 Mosaic Render is a ready-to-use decorative render. It contains quartz aggregate and is therefore known for being particularly strong, durable and waterproof. This makes it ideal for below the DPC, where impact resistance and splash proofing are essential, or simply as a decorative feature. Available in white, black and grey, the render not only looks fantastic but offers high performance and a long lasting finish. Mosaic Render has a quartz aggregate grain size of 1.8mm for a textured, decorative finish. Mosaic Render is made up of coloured quartz aggregate held within a transparent acrylic resin binder. 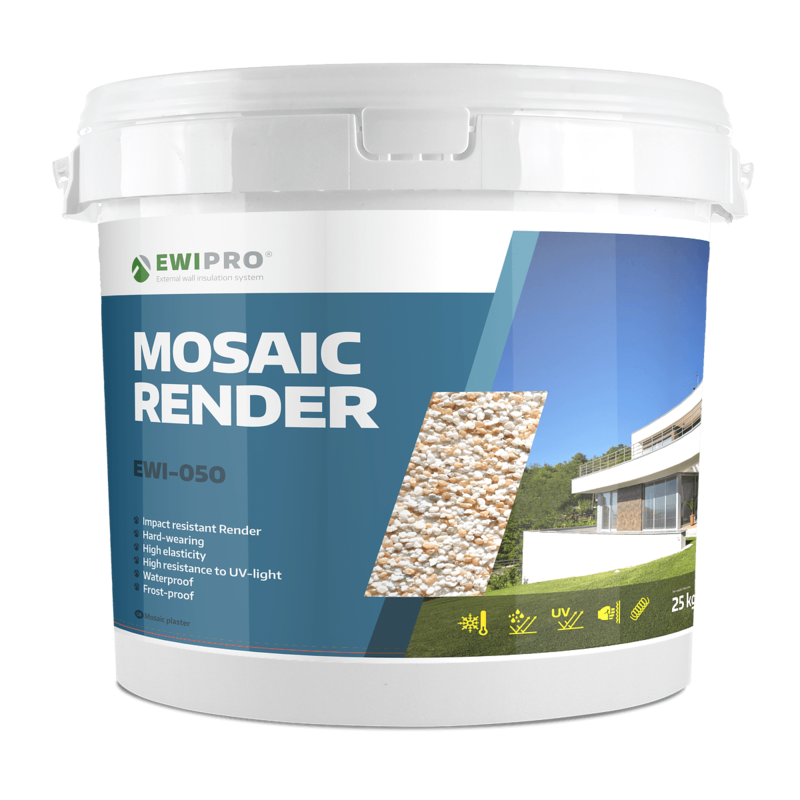 The render is designed for application by hand or using spray equipment for granular texture. This product is suitable for application on concrete substrates, mineral undercoats, gypsum plasterboards and fibreboards as well as reinforcement layers in EPS external wall insulation systems. The product should be applied in temperate weather and should not be used in temperatures above 30°C. Likewise, if the materials or the substrate are frozen, or if there is any risk of frost damage within the first 24 hours, work should be postponed. Mosaic Render should not be applied in rain or humid conditions, or if wet weather is expected before the render has set.